The state of elder care in Maryland and the United States is unfortunately far from ideal. There are widespread incidences of elder abuse, negligence, and malpractice. By placing your loved one in the care of a nursing home, your goal is to protect them and give them a safe place to live during their advanced years. The average nursing home in Maryland make this goal more of a challenge than it should be. The reality is – and the evidence is overwhelming – is that care at most nursing homes in Maryland is substandard…or worse. These facilities are just across the board poorly run. Because quality care costs money and squeezes the bottom line more than these nursing homes can tolerate. Without proper care, attention and procedures, there are going to be an inordinate number of fire-related injuries in a nursing home setting. Residents are more prone to mistakes and ignoring warning signs and less apt to have the physical resources to quell the threat. Despite the push to ban smoking in nursing facilities, the threat from smoking-related fires is very real. Often, nursing-home smokers have more difficulty holding cigarettes, making it easier for them to drop lit cigarettes on bed sheets or near flammable objects. While the spread of these fires is usually gradual, those in nursing homes typically lack the ability or mobility to evacuate the premises before it is too late. This reality coupled with the fact that the elderly have diminished hearing and eyesight, makes for an especially dangerous scenario when there is a fire at a nursing facility. At the end of the day, it is up to the nursing home staff to ensure that everyone is evacuated and escapes unnecessary injury. When you walk into a nursing home, one of the first things that you are bound to see is a pressurized oxygen tank. Nursing facilities often contain hundreds of these tanks, in addition to, other medical fire hazards that can turn a small fire into a catastrophe. In addition to dropped or unattended cigarettes, candles can lead to fires as well. Residents may very well forget to extinguish candles due to medication or simple forgetfulness. No matter the cause, the injuries stemming from nursing home fires can be severe or even fatal. The elderly are far more susceptible to burn injuries than the non-elderly, meaning a minor surface burn can lead to serious complications. As with any fire, the risk of smoke inhalation is prevalent in nursing homes, where the elderly are not evacuated from the premises as rapidly as they should. How exactly would a nursing home be liable? Nursing homes and elder care providers have a duty to ensure that your loved one is properly cared for. When they fail to live up to that duty, they can be held liable. For example, nursing homes are generally obligated to ensure that sprinklers are placed within the premises to lessen the chance of a fire spreading. If they fail to do so or improperly maintain the sprinklers, they can be held accountable in premises liability. In addition, nursing home care providers have a duty to ensure that an evacuation plan is in place in the event of a fire. If they did not develop such a plan or failed to adequately ensure the safety of individuals during the evacuation, then they may be liable. Nursing home fires account for nearly half of all medical facility fires. According to US News and World Report, the average Maryland nursing home has around 4 different fire deficiencies, which is greater than the national average of 3.3. Given these troubling statistics, those who operate these nursing homes have to be held accountable when something goes wrong. Burn and nursing home injuries can lead to complex and difficult injuries, meaning you need a skilled lawyer should you decide to pursue the compensation that you or your loved one is entitled to. Nursing homes do a good job of keeping the lid on information as to the value of these cases. They are extremely aggressive in requiring settlement language that ensures confidentiality. 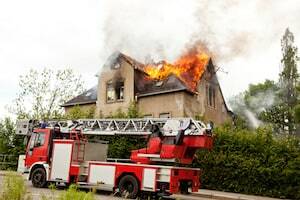 The following verdicts should give you an idea of the value of a nursing home fire case, however they are merely predictions as no one can accurately predict how much a jury will award. As we say elsewhere on our site, these cases are just too complicated and have too many factors to predict the value of the claim without knowing every single fact and seeing every single witness. Even then predicting what a jury will do can be a crapshoot. Still, it is nice to read these and other nursing home verdicts to get some context for the value. Along with other resources, this can help you better understand the range of value of nursing home cases based on the jurisdiction and the injury suffered. 2013, Virginia: $1,280,000 Verdict – After a patient suffers a series of injuries, he is admitted to a nursing home. Despite the nursing home’s policy against smoking, he smokes anyways. One day, a nurse leaves him alone outside and he begins to smoke. When the nurse returns, his clothes are on fire and he is laying on the ground. He suffers third degree burns and severe pain until he dies two years later. His estate sues the nursing home for negligent admission and improper supervision. They are awarded $1,280,000. 2011, Texas: $14,101,700 Verdict – At a home for the mentally incapacitated, a patient starts a fire with a lighter given to him by a worker. The fire spreads, however two patients cannot escape because of a locked fire door. As a result, they suffer severe smoke inhalation and burns. One patient died within 20 days, while the other suffered debilitating injuries. Families of both individuals sued, claiming that the facility had inadequate fire prevention features and poor evacuation training. Between the two plaintiffs, the jury awarded $14,101,700 ($6,010,100 and $8,071,600). 2009, Pennsylvania: $120,000 Verdict – The plaintiff was a resident of a care facility. As he smokes in his bed, he falls asleep, lighting the sheets on fire. Smoke alarms go off, prompting care providers to come to aid immediately. However, he suffers severe burns on 33% of his body and dies a few weeks later. His estate sues for wrongful death. At trial, the defense noted that he was a quadriplegic, which would have reduced the amount of pain that he felt from the burns and other injuries. The jury award his estate $120,000. The attorneys at Miller & Zois have experience dealing with complex personal injury cases, in addition to the expertise needed to give you the best chance of recovering money damages. If you or a loved one has suffered an injury resulting from a nursing home fire, contact Miller & Zois at 800-553-8082 or visit our website for a free consultation.